Bring home a sweet remembrance of Seattle with these Washington-made luxury items perfect for gifting to family and friends—or even to yourself. The exquisite Fleur09 fragrance from local perfumier Maria Christofilis captures the essence of a botanical garden with a blend of Sicilian yellow mandarin, Calabrese bergamot and Moroccan orange flower extracts, plus a kiss of vanilla bean. Hand-poured in a hand-blown glass flacon, the perfume is available in both 100ml and this TSA-approved 50ml size. $200, available at Neiman Marcus (The Bravern in Bellevue, 11111 NE 8th St.; 425.452.3300; neimanmarcus.com) or online from mariachristofilis.com. A true Seattle classic, a hand-blown Glassybaby votive (shown here in the "Luxury" colorway) is not only a thoughtful gift for a friend, but a sweet deal for the environment too, as 10 percent of the proceeds from each goes to the company's White Light Fund to benefit people, animals and the planet. 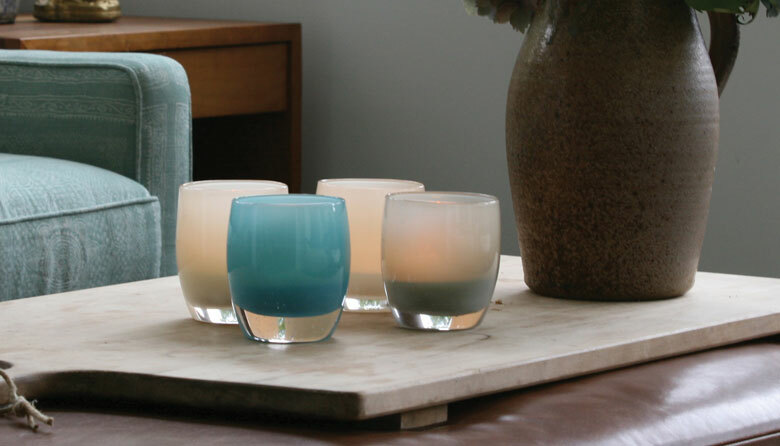 $50, from Glassybaby (Multiple locations, including Bellevue, 10230 Main St.; 425.256.2927; glassybaby.com). Seattle-based jewelry designer Jamie Joseph has become known nationally for her raw, organic stone rings that somehow manage to be both beautifully-bohemian and ultra-sophisticated at the same time. Cameron Diaz, Naomi Watts and Kate Beckinsale are notable fans of her extraordinary jewelry. A multi-faceted dendetric opal ring is the perfect example of such style, and is complemented by a shimmering black accent diamond. $1,056, available at TWIST (Downtown inside Pacific Place, 600 Pine St., Suite 130; 206.315.8080; twistonline.com). So soft, so supple: Crafted by the long-venerated Filson company headquartered in SoDo, this charming hobo bag is outfitted with vegetable-tanned leather straps, internal stow pockets and a specially-treated waterproof suede exterior. $650, from Filson (Multiple locations, including SoDo, 1741 1st Ave. S; 206.622.3147; filson.com).